The end customer was Firmenich, a Switzerland based company specializing in the design and manufacturing of custom flavoring and aromatic materials, such as perfume fragrances and artificial food flavoring. 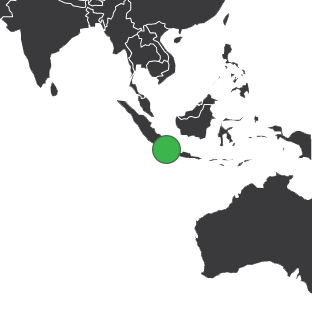 Firmenich was looking to build a new Durarome production facility in Karawang International Industrial City, on the island of Java in Indonesia. Firmenich contracted with NNE Pharmaplan, a German engineering firm, to build both the building that would house the production equipment, as well as the process control equipment. Firmenich contracted with Carrier Vibrating equipment, based out of Louisville, Kentucky, to provide the fluid bed dryer. ControlTouch and iSystemsNow partnered up to deliver the design and control of the fluid bed dryer system, and the process control instrumentation associated with the closed nitrogen supply loop. The control system for the fluid bed dryer consisted of one Motor Control Panel to house all of the instrumentation I/O, an Allen-Bradley L45 CompactLogix processor used for control and an Allen-Bradley VersaView operator interface terminal running Siemens WinCC for the SCADA application. The electrical system was design for 380V AC power, and consisted of two Allen-Bradley PowerFlex 70 Variable Frequency Drives, and three 1 hp AC pump motors. A total of 11 PID control loops were implemented to control the applied air pressures and temperatures in the drying zones to accuracies of less than 1 degree Celcius and 0.25 mBar of pressure. 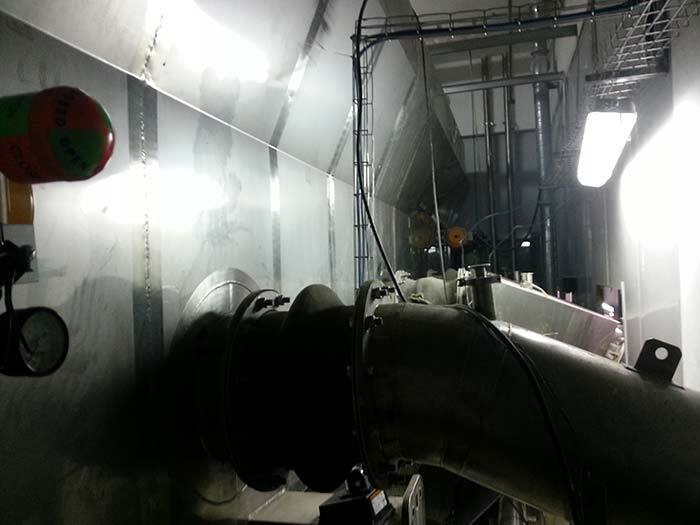 The applied air pressure was controlled through a combination of 3 flow control valves and 2 VFD controlled blower fans. The applied air temperature was controlled through a combination of 9 steam coils able to heat the air stream up to 150 degree Celcius, and a condenser able to cool the air stream down to approximately 8 degree Celcius. Additional control loops and algorithms were used to purge Oxygen/add Nitrogen, to keep the O2 level below 2.5%, and to maintain consistent water spray in an air stream particle scrubber. 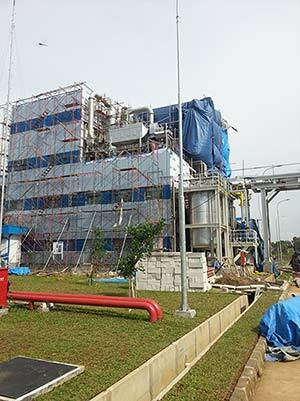 Through working with our partners and the other process control engineers, a system was implemented which allowed Firmenich to manufacture 500 kg or Durarome per hour at their new Indonesia plant.